Shock horror revelations by the police last week had the country reaching for the smelling salts. “300+ students” truanting from school from just three high schools in southern Auckland. The story didn’t have a lot of merit – it was the last week of term. How many were explained absences? On what basis was this precise figure calculated. But the issue it raised was a critical one – if students aren’t at school, they are less likely to learn, more likely to fail and inevitably join the ranks of the NEETs and rather than be unemployed, end up as unemployable. Talkback callers should fasten their seat belts at this point. It has been estimated that on a daily basis in New Zealand in excess of 30,000 students are truanting. They are not all from secondary schools either. If a large school is one of a thousand students then every day thirty large schools in New Zealand are empty. First reactions are generally to blame the parents and caregivers. Fine them! Take them to court! All of this is just hot air for how can parents and caregivers who have failed to get their young ones to school and keep them there, start doing so because of a fine or the admonitions of a judge. Quite simply, by the time that such actions are taken something has well and truly broken down. Truanting is a process and not an event. Zero tolerance from age 5 for any unexplained absence would be a good start. But this probably requires skill sets that are different from those of teachers and, dare I say, current truancy services. This is where the social worker presence in education should be targeted. Going to school each day and staying there is a habit as much as anything else based on routines in the household. Schools and teachers have a role to play in making the programme relevant and interesting and they should be left to get on with that. The issue with older students is more complex. Disengagement is also a process rather than an event (and truancy plays both a part in this and is a key indicator of likely disengagement). Teenage persistent truants fall in to two categories – on the one hand there are those disillusioned with school, not making progress in learning and probably at war in their own little way with the authority of the school and, on the other hand, middle class students who rather than truanting are attending selectively. Yes, there is quite a bit of this as well. It is the first group – the likely disengagers / drop outs – that should concern us greatly. If they are in Year 10 or higher it is most unlikely that any attempt to return them into a school will succeed. At that point it is the environment of a school that has become toxic and they need to be placed somewhere else. This is not a criticism of teachers or of schools but simply a conclusion that when disengagement has reached a point where dropping out has occurred or is incipient and truancy has become persistent, schools are almost certain not to be able to effect a change. The provisions of alternatives for education (and I don’t mean “alternative education”) for such students exist through the development of secondary tertiary programmes such as the Tertiary High School at Manukau Institute of Technology and if they are 16 years old, rather than happily washing them off the hands of the system we should be guiding them into the fees free places under the Youth Guarantee policy in tertiary providers. Such learners respond positive to the opportunities to undertake applied learning and to experience success in doing so. 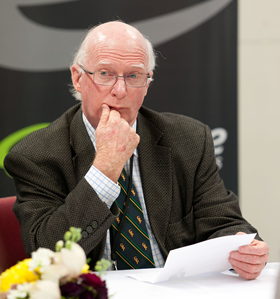 Of course this has implications, NCEA would clearly become a qualification common to providers other than schools, many “secondary school age” students would learn in settings unlike a school and free of the irritations that those seriously headed towards disengagement have no appetite for wanting to put up with any longer. The discussions of truancy are dogged by an obstinate belief that schools as they are constitute a good place for everyone and for all levels. It simply isn’t true. A more flexible approach to provision of schooling will lead to a more flexible range of responses to issues such as truancy.